Pack up your ropes, carbiners, and harness! Celebrate true adventure and promote it with the Climbing Flyer! 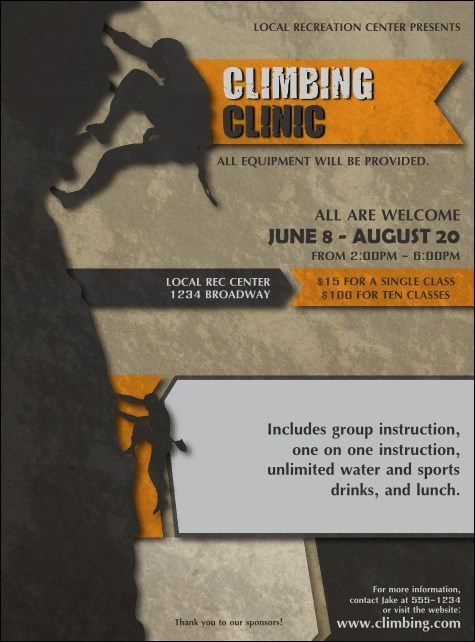 This exciting design features shadowy climbers ascending a steep mountain, with event details to the side. Find coordinating tickets, invitations, and postcards in a Matching Event Kit.